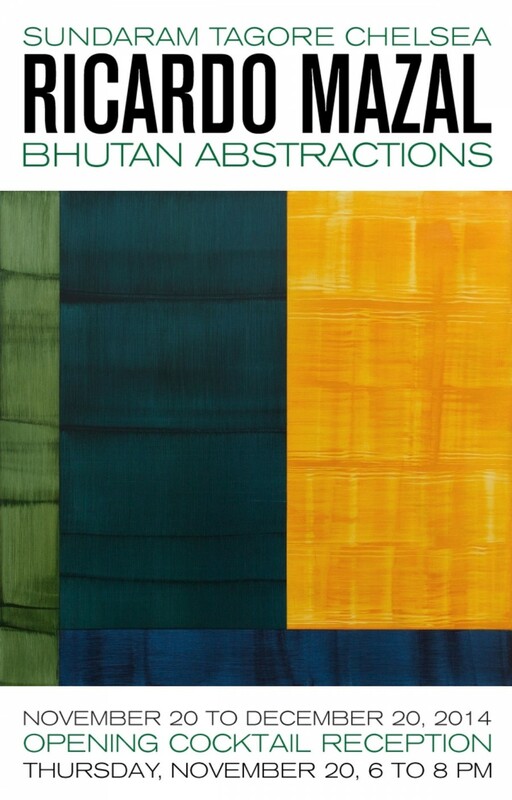 Ricardo Mazal, one of Mexico’s most prominent contemporary artists, debuts work inspired by a recent journey to Bhutan. Drawing on his previous explorations into themes of life, death, transformation and regeneration, Mazal has composed a new series of abstract paintings focusing on the colorful, billowing prayer flags of the Himalayan kingdom. As with previous series, Mazal began this one with photographs, which manipulated on the computer to compose digital sketches. He then moved onto stretched linen, delicately layering oil paint using foam-rubber blades. Although more abstract and distilled than his previous work, this new series embodies Mazal’s distinctive gestural style, which charges the canvas with movement and energy. and in 2009/10, in the Museo de Arte de Queretaro and the Museo de Arte Abstracto Manuel Felguerez in Zacatecas, Mexico.